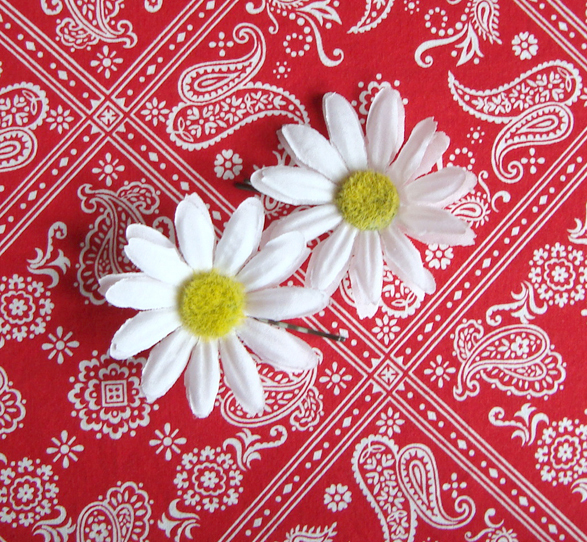 Pair of sweet daisies for your hair. White fabric flowers with fuzzy yellow centers on metal bobby pins. 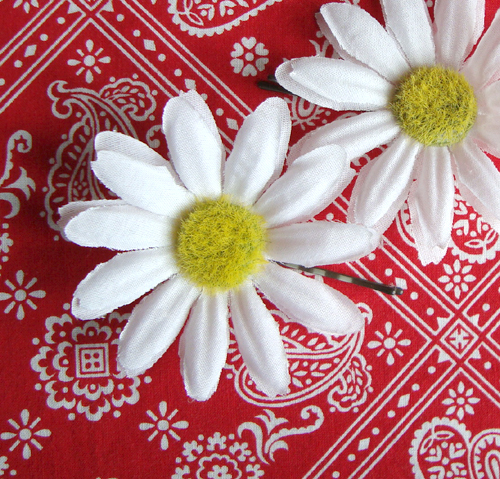 I sew each daisy and use two types of adhesive to keep them in place on the hairpins. If you'd like them with another backing like a hair comb, spring barrette, etc., just e-mail and I can make you a custom pair. Flowers are approximately 3" wide, and may vary slightly from those pictured.